And now for on-the-move people who are constantly searching for high-quality sound performance from their in-earphones, there cannot be a more accommodating piece of kit than the Shure SE425 which delivers a combination of replaceable parts and exceptional noise isolation with sonic detail to die for. Woof! Woof! 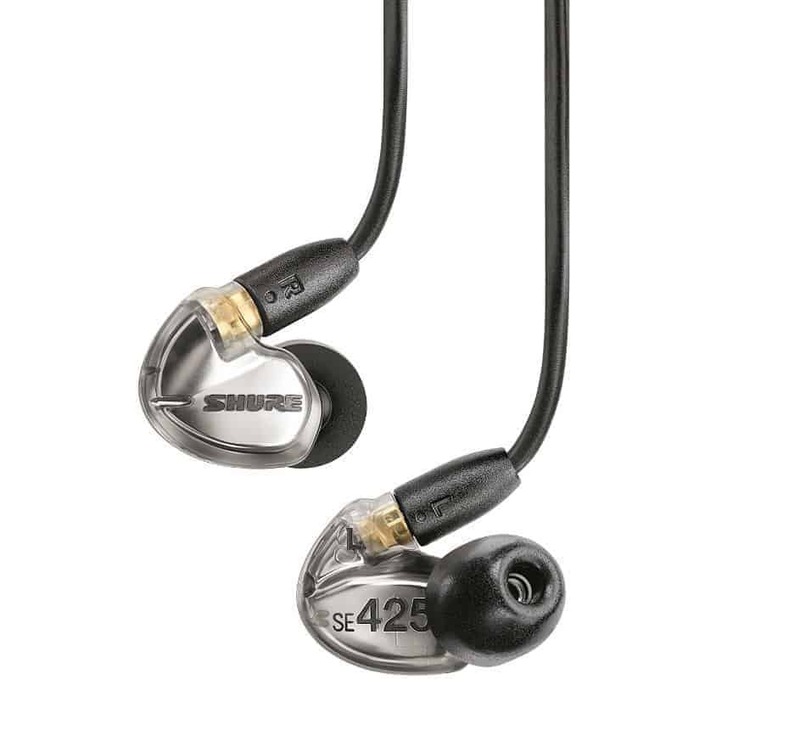 The SE425 is Shure’s latest dual-driver offering in the mid-range market. Like the other models, the SE425s share a lot of functional similarities with previous Shure headphones. What are the significant design modifications and developments that make the SE425 different from its predecessors? Firstly, no more bulbous teardrop-shaped earpiece. Shure has redesigned it to a smaller size enabling its contour to fit more comfortably inside the ear. 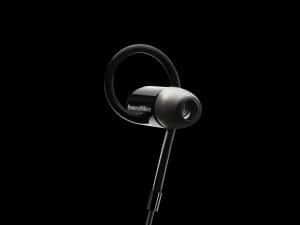 Add to that, the earpieces are user detachable – a real tail-wagging bonus. Secondly, say hello to its 162mm-long cable which is reinforced with Kevlar® for long life and durability. 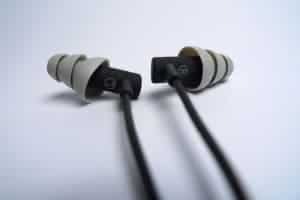 You can hang it loose or use its Wireform fit capability for looping over your ears to keep it out of the way. 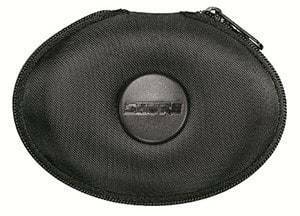 complete with earwax cleaning tool; the earphones are accompanied by a 3.5mm to 6.25mm adaptor; plus, there’s Shure’s standard fit kit with three sizes (S, M, L) of the flex and black foam sleeves as well as one pair of triple-flange and one pair of universal-fit yellow foam sleeves; add to that there are three sizes each of silicone and hard foam tips, as well as one pair of triple-flange and one pair of universal-fit yellow foam sleeves – Howl! Are you a big fan of Shure headphones? We think you’ll also like our Etymotic Research HF5 Review! The prime concern of buying an ear-phone is its sound quality, and in this Shure SE425 Review we found that it didn’t disappoint in this respect. As you’d expect from their reputation, Shure’s audiophile monitors deliver distinctly rich sound with accurate musical details on all frequencies. 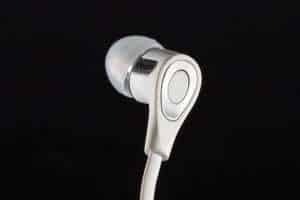 The earpieces cram in dual High-Definition MicroDrivers, which means there is a tweeter and woofer dedicated to each earpiece for the ultimate in clear music reproduction and spacious instrumental separation.